Waterpower has been involved in the energy business for many years across three sectors of Business – Energy Supply, Energy Generation and Consultancy. Waterpower was founded by Dan Twomey in 2002 following his work on hydro-electricity stations across the country. In 2003 the business focus changed after he secured a licence from the Commission for Energy Regulation (CER) to trade excess energy. This meant that Waterpower could supply electricity to domestic and commercial customers and purchase electricity from other small renewables electricity generators. Waterpower is now 17 years in business and is at the forefront of renewable energy solutions. Over the past year, the company has shifted its focus to Solar Photo-Voltaic energy generation with a view to making the technology more accessible and reducing fossil fuel dependency. Recent announcements relating to financial support schemes for solar by the Department for Communications, Climate Action and Environment indicate that Waterpower is very much on top of its game. Never has there been a better time to invest in Solar. According to Dan Twomey, ‘Increasing generation from renewable sources is a key objective for Waterpower. We support customers in the development of their renewable energy project, installation and energy export arrangements. Since January 2018, our generators (solar PV, Hydro, wind, CHP) have collectively produced over 4.2 GW of green electricity. This is the equivalent to the amount of power that would be generated from 4.6 million 295W solar panels’. Waterpower offers the complete Package – Feasibility Studies, Design options, Installation, Grid Connections and if you produce more energy than you require then we may be able to purchase that from you depending on your meter configuration…a genuine all-rounder that is local! Some of our Solar PV customers include Scoil Phobail Sliabh Luachra Rathmore Co Kerry, Kiltegan Fathers Co Wicklow and Allenweld in Newmarket. We have extensive experience in Hydro Power having been involved in the development of over 25 Hydro Electricity stations across Ireland. We work closely with clients wishing to build from the ground up and those wishing to retrofit an existing site. At present we are working with stations (200kW – 50kW) in Kerry, Cork, Clare, Mayo, and Kilkenny. With over 20 years of proven experience in hydro projects. Waterpower can rise to the challenge of any hydro – project large or small. There has never been a better time to examine your electricity use. Oil prices are on the rise and this affects the energy market considerably. At Waterpower, we work closely with our customers to offer them the best rates (fixed or variable) that work for their energy consumption level. So, if you are looking for a quote for your electricity supply do not hesitate to give us a call. For commercial customers, we offer a profile metering service which assesses how electricity is used and help manage usage to reduce costs. This approach has generated considerable savings for our commercial customers. 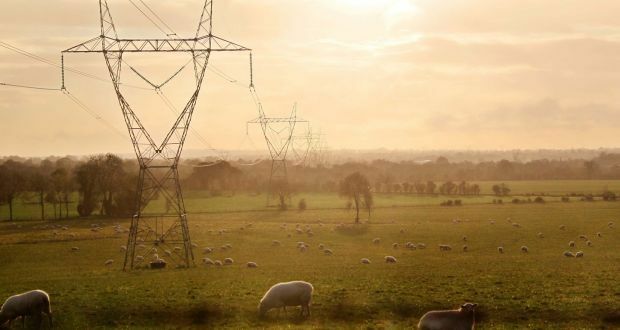 Our experience in all aspects of the electricity market offers our customers a depth of knowledge for any support they need (grid connections, meter changes). Customer service is at the heart of our business. All our customers enjoy excellent customer service with direct lines to all our staff with no waiting time. We strive always to provide a very efficient, pleasant, and quick response to any of your queries. The office number is 029 50568, please don’t hesitate to call the office between 8:15 am and 5:00 pm. Waterpower has a considerable body of expertise and also offers consultancy advice in retrofitting former hydro sites, water filtration screens, rainwater harvesting and electric car charging points. Want to know more about Waterpower and energy supply? Dan can be contacted directly on 087 2616178 or 029 50568 or complete the contact form, we are also on Facebook, Twitter, Instagram, and LinkedIn. ← Why change Electricity Suppliers to Waterpower ?